An Ancient Solar System...: Remote controlled asteroids? Above: ESA's concept for a 3D printed Moonbase. Courtesy of ESA. But a new project, prompted by NASA and being carried out by Made In Space Inc, seems to be veering slightly into supervillan territory: They're looking at sending 3D printers, to asteroids (link here), turning the asteroid material into crude mechanical parts, and slowly converting the asteroid into a huge (if basic) unmanned spacecraft. Once converted, an asteroid automaton would steer around the solar system under commands from Earth. Above: Artists impression of an astroid beng converted. That'll mean some major advances in 3D printing, but nothing unbelievable. Made In Space have already pushed the envelope, launching a 3D printer to the International Space Station and making tools with it there. 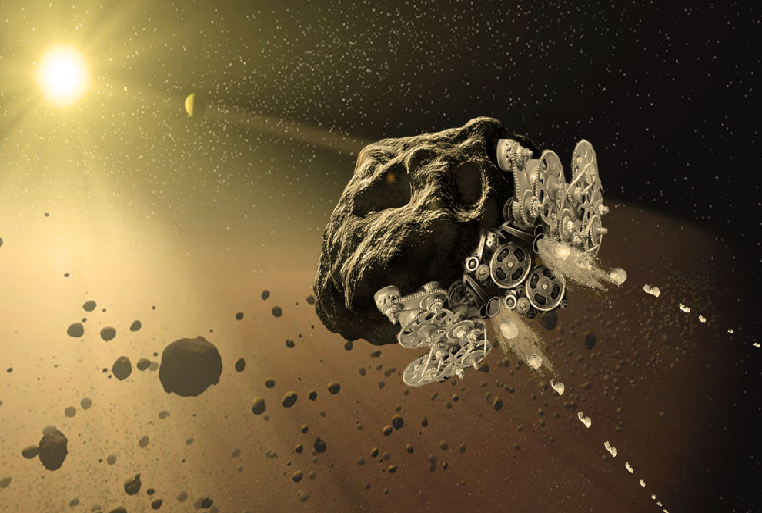 Although Made In Space are just doing a feasibility study, it could make things like asteroid mining far more realistic by allowing asteroids to be moved into accessible orbits near Earth. On top of that, any and all expedience we can gain modifying or moving asteroids could be vital in protecting Earth when - and it is a question of when, not if - we find discover an asteroid on a collision trajectory with Earth. It could allow previously unbuildable spacecraft designs to become reality, printing them from asteroid stuff, wherever they're needed. 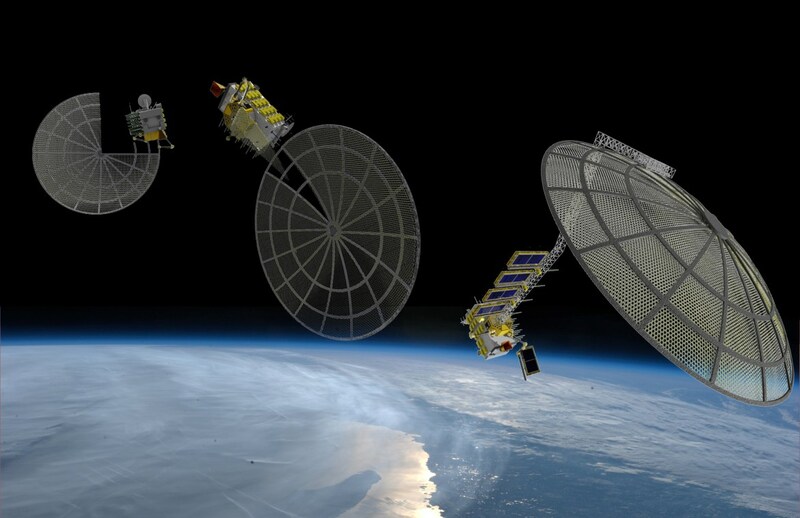 Above: Very large antenna are just some of the structures that could be printed in space, but are too fragile to launch whole..Courtesy of Made In Space.